What’s the deepest we’ve ever dug into the Earth? You asked us, "What's the deepest we've ever dug into the Earth?" The deepest hole we've ever carved out is just 9 inches across. Started by scientists in 1970, it took more than two decades to dig the record-holding hole, so how low did we go? Drum roll, please. A whopping 0.2% of the distance to the center of the planet. That's right, folks, the 7.5-mile-deep Kola Borehole in Russia barely managed to scratch the Earth's surface, never making it past the outermost layer of our planet. Super high temperatures stopped the Russian scientists from going any farther, but along the way, they found some pretty cool things, like free water deeper than they ever thought it could possibly exist. And 2-billion-year-old fossils from single-celled marine plants 4 miles below the Earth's surface. Over two decades later, an international team of scientists is hoping to go deeper. Despite a hefty $1 billion price tag and monumental engineering roadblocks, the goal is to go where no one has gone before: the mantle. Some of our biggest questions about the origins and evolution of Earth could get answers, SO WHAT ARE WE WAITING FOR?!! Oh, yeah, that's right - a billion dollars and better technology. Get on that science! Why did it take more than 20 years to dig the deepest hole? It took so long because the pressure is very high and the heat is very great. The heat and pressure cased them from going any further in the earths surface. Once the find a tool that can withstand the heat and pressure then can go further down. 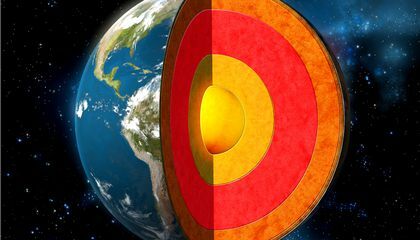 It took more than 20 years to dig the deepest hole because it is 7.5 miles long, in the ground; but it still did not even get through Earth's outermost layer. It also took a long time because of the problem of money, technology, and Earth's natural impediments. Because they ran into stuff along the way. It took more than twenty years to dig the deepest hole because the earth is rough and if you tried to dig you would think it would take a life time to dig seven miles. I thought this article was interesting because I thought that the depeest hole would be way deeper and wider, but I was wrong and the hole is only seven miles deep. It took twenty years to make a hole through the Earth because of the temperature. It says in the article, "Super high temperatures stopped the Russian scientists from going any farther, but along the way, they found some pretty cool things, like free water deeper than they ever thought it could possibly exist." This shows how scientists discovered new fossils. It always shows how temperature can stop scientists form doing great things. I think this is a surprising article because I would have expected them to have dug a deeper hole by now. It took 20 years for scientist to dig the deepest hole, because of the extreme heat. The technology to digging a hole was also not advance enough for us dig deeper along with the money needed. "Super high temperatures stopped the Russian scientists from going any farther..."
I found this article very interesting to see how far a hole can be dug up. It was surprising to me that over two decades of digging, we were only able to dig up .2% of the earth's depth. It took more than twenty years to dig the deepest hole because of the extreme temperatures in it and the non-advanced technology to dig it. In paragraph 6, it states that, "Super high temperatures stopped the Russian scientists from going any farther," and in paragraph 11, it says that scientists need, "better technology." Since the extreme heated temperatures of the 7.5 mile hole make it hard to dig, and the technology is not great enough to keep on digging the hole, the expedition will have to wait. 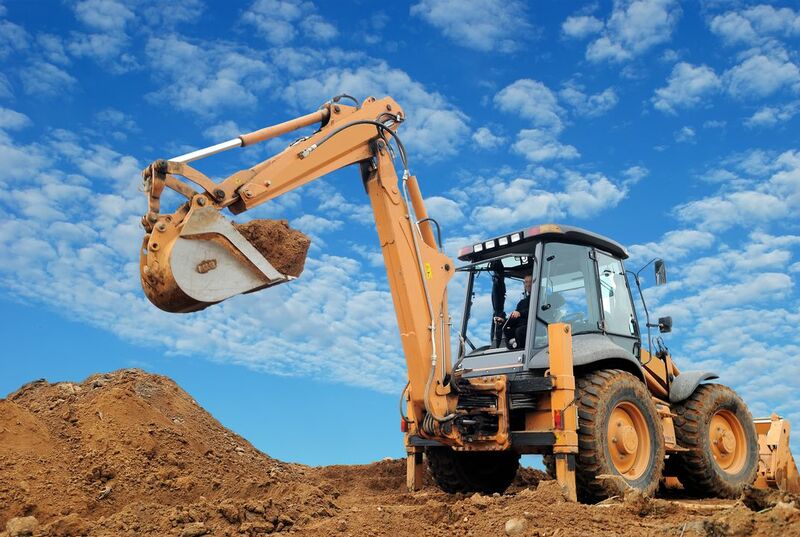 The technology will have to improve to keep on going, and the 356 degrees heat, it takes a long time to dig a hole that deep. I found this article moderately interesting and found that the hole only scratching 0.2% of the world's crust very surprising. It took more than 20 years to dig the deepest hole because like it says on paragraph five, the Russia barely managed to scratch the earths surface meaning they didn't have that kind of technology. Also because the high temperatures stopped them from digging too deep. I thought this was very interesting because I've never thought of whats the deepest we've ever dug on earth. One reason that it took the Russians so long to dig a 7.5 mile hole in the earth is because there is not enough technology available. The article states that we need "a billion dollars and better technology." So, until we can raise that amount of money-we are stuck. Another factor in which we can not dig deeper into the earth's crust is that "Super high temperatures stopped the Russian scientists from going any farther" With all of the heat and pressure factoring into the equation, we can not possibly dig any farther than we have. It took more than twenty years to dig the deepest hole. It took more than twenty years to dig the deepest hole because of the rapid increase of temperature. They also had to pay more than 1 billion dollars to do this project.